The popular snack-on-everything-sweet party makes for Santa Monica. 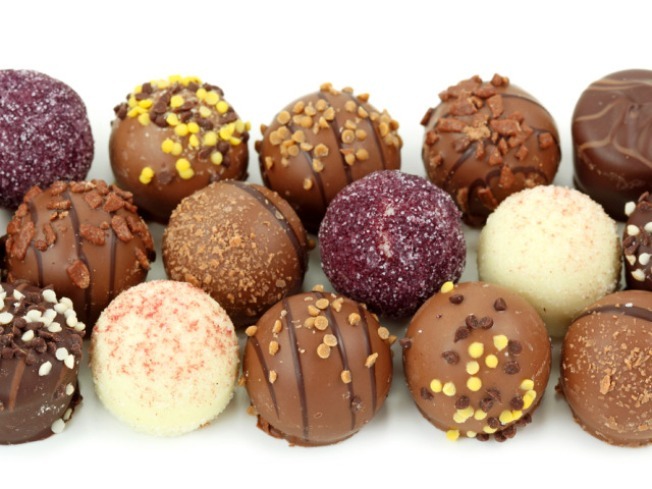 The Luxury Chocolate Salon moves from Pasadena to Santa Monica on Saturday, Sept. 23. There's one question pretty much everyone on the planet has a pretty ready answer for: What's your favorite candy bar? It's this nearly universal love of a certain bean-based candy that has created the popular swirl around the annual Los Angeles Chocolate Salon. Sweet lovers gather, pay an admission price, and sample gourmet truffles and squares and things laden in pistachios and things laden in chili powder and all sorts of chocolates doused in fancy sea salts. It's popular, as you might expect, so we are making mention early for two reasons. One? You can get tickets, which are $20 for early birds, and you should, since "no tickets are available at the door." And two? The Los Angeles Chocolate Salon is on the move. It will bid Pasadena adieu and land in Santa Monica, at the Civic Auditorium, on Sunday, Sept. 23. That's the weekend after fall begins, a season proudly devoted to the consumption of dark, delicious treats, so we think it is a fine way to kick things off.